This is a Great Coastal Mirror. Inspired by the Architecture of the Coastal Homes of Nantucket. Beautifully Aged & Distressed. Naval Blue Outer Framing with a Anew Gray Inner Border. 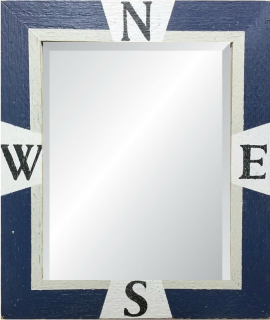 Nautical Compass is Painted in Black. The Colors on this Mirror are Fantastic...The Pictures do not capture the Brightness and Crispness. Beautifully Aged and lightly Distressed. Frame is made of Solid Cedar and the grain structure sanded out perfectly. Glass is 16" x 20". As with all of my Signs...This Piece is All Hand Painted, Sanded and Nicked for that great Coastal Feel. Mounting Hardware is attached to the back for hanging. 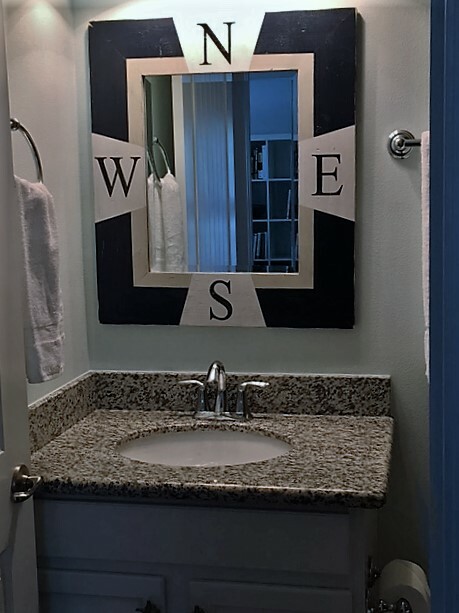 This is a Great Coastal Mirror. Big and Bold Extra Wide 6" Wide Frame. Inspired by the Architecture of the Coastal Homes of Nantucket. Beautifully Aged & Distressed. Naval Blue Outer Framing with a Anew Gray Inner Border. 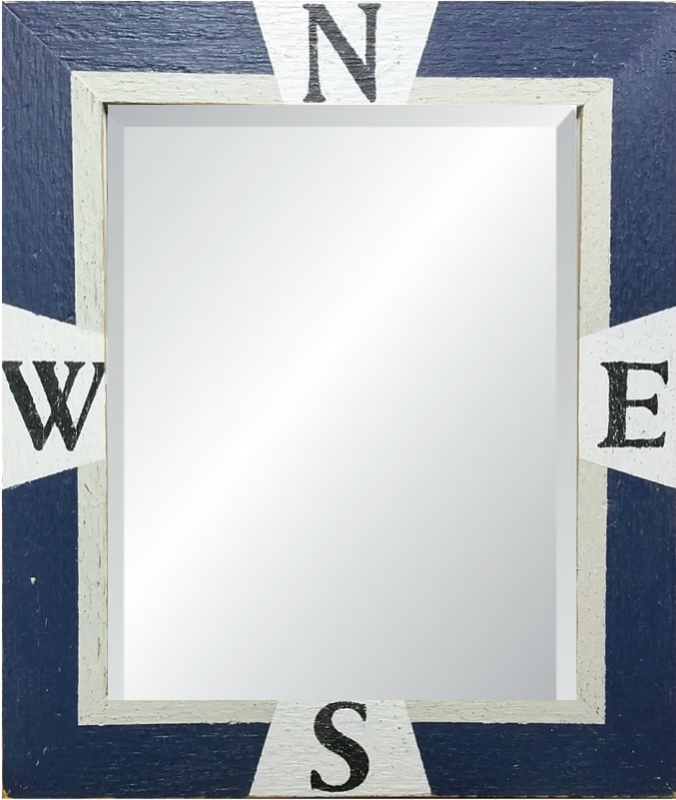 Nautical Compass is Painted in Black. The Colors on this Mirror are Fantastic...The Pictures do not capture the Brightness and Crispness. Beautifully Aged and lightly Distressed. Frame is made of Pine and the grain structure sanded out perfectly. Glass is 16" x 20".